One of the major cities in Rune Midgard. Adventurers from all over the world gather here to meet the king. I myself am no different. My name is Hoshi, a novice. Accompanying me are my friends, Minori the thief, Gulen the swordsman, and Giya the acolyte. We were summoned to the castle for an important task from the king himself. We walked through the large arch that seperated Prontera from the monster infested fields. The city was bustling with activity. Merchants as far as the eye could see were selling their goods, children were playing, the townspeople were chatting among themselves. Adventurers could be seen at many of the merchants shops buying supplies for their journeys. We walked down the main street, Giya wanting to stop at every shop we came across. I sighed for a brief moment, then heard some adventurers talking. "Since when do you see a novice this day in age?" A man said to his comrade. The woman he was speaking to turned her back and whispered to the man. She edged herself closer so that she would not be heard. "Haven't you heard, thats Hoshi, he's the only person to ever fail the promotion exam." She said. It was true, no matter how many times I took the exam I always failed. Minori, my closest friend and the very first person I met at the Promotion Exams walked up beside me. "Forget them, they're just arrogant since they got promoted to the advanced class." She said with a smile on her face. I looked at her for a moment, trying to act like it did not bother me any. I heard the clanking of metal coming from behind us. I turned, only to be trampled by a few knights riding their Peco Peco's. I stared at the sky, trying to figure out why the gods hated me so. "Hey Hoshi, are you alright bud?" Gulen said to me as he helped me to my feet. I brushed off some of the dirt on my armor, sighing for a brief moment. Things never seemed to go right for me, but my friends stood by me anyways. "Hey have any of you seen Giya?" Minori asked. We looked in seperate directions, thinking she couldn't have gone far. "I think I found her." I said as I pointed to the merchants shop down the road. Giya always had a soft spot for jewelry, and there she was spending our hard earned zeny at the shop. We walked to her, noticing she had already spent half of our earnings at a single shop. Gulen, Minori, and myself grabbed ahold of Giya, carrying her away from the shop. "No, come on guys, I need that!" She yelled out as we carried her down the street. The adventurers and townspeople, along with many merchants looked at us like we were crazy that whole day. "Giya you know how hard it was for us to obtain that reward money. Next time you buy something buy some medical items please." Minori said as she hung her head in shame. Gulen laughed and all I could think of is why me. We arrived at the castle and soon came before the king himself. We each knelt on one knee, our heads bowed as the king rose from his throne. "Welcome brave adventurers, I have heard of your success in the north and have requested your assistance for this mission." This king said. A elderly man, his robes reached down to the floor, handed the king some papers. "I have in my hand four promotion certificates. With these you shall be able to promote to the next class and join the rank of the Prontera Guard if you so choose." The king said as he held the certificates high. He returned them to the elderly man and spoke to us about our mission. "It appears there is trouble in our neighboring city of Morroc. A man by the name of Dyne has been spotted in the area. We believe him to be the cause of the mysterious deaths in the area." The king said. He wanted us to seek out, and if we must eliminate this man. We looked at the king for a moment. "We accept this task you've bestowed upon us." I said as my comrades and I stood to our feet. We walked down the bustling streets once more, keeping a close eye on Giya so she would not spend the rest of our zeny. "So which direction to Morroc?" Gulen said as we walked out to the fields. We all stared at Minori for a brief moment, she looked at us suprised. "What makes you think I know where Morroc is?" She said with her hands up in the air. We continued to look at her with serious looks on our faces. "Don't thieves usually hang out in Morroc Minori?" Gulen asked as he snuck beside her. Her face turned red, she ran to the front of us and looked southwest. "Fine you got me. Morroc is southwest of here. If we head in that direction we should be able to make it by night." She said as she ran off in that direction. We quickly followed behind her, I slowed down so I could speak with Giya. "Whats wrong with her all of a sudden?" I asked. Giya wouldn't tell me the whole story, but she explained that something happened to Minori in Morroc ten years ago. We reached the Sograt Desert a few hours later. The sun had begun setting in the sky. "Who here remembered to bring water?" I asked everyone. They all reached into their packs, bringing out a container of water. I sighed and mumbled. "I hate you guys right now." I said. They all laughed at me because I left my container back in Prontera. We continued through the desert until we came a few miles from Morroc. "We should camp here for the night, no sence in staying at the inn." Minori said as she sat on the ground. We looked at her trying to start a fire by using the fire scroll she had stored in her pack. We sat down and made camp for the night. "I'll take watch tonight." Gulen said as he sat staring at the town. I began to doze off as I stared at the fire. Later that night I was woken by the sound of metal clashing against each other. I looked up, a masked person stood above me with a dagger in his hand. He thrusted it towards my face, I quickly rolled to the side jumping to my feet. He ran towards me, drawing another dagger he came closer. I jumped to the side as he thrust his daggers towards me, quickly turning behind him I drew my knife and thrust it in his back. He fell to the ground, the sound of metal clashing could still be heard coming from a distance. I looked at the man on the ground, his blood on the ground. My eyes widened, my body began trembling. Never had I killed a person before, usually it had been only monsters that invaded the fields. I took a deep breath, turned and ran towards the direction of the sound. "Minori, Gulen, Giya I'm coming." I yelled out. I reached the top of the sand mound, noticing my friends fighting the same kind of people I had just slain. Gulen was surrounded, the men were closing in on him. He held his sword out, one hand on the blade. It began turning blood red as he slammed it into the ground. "Magnum Break!" He yelled out as a explosion of fire surrounded him. 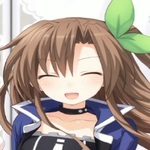 My eyes averted to Minori, who was quickly striking down each foe in one strike. It didn't even look like she attacked, she just ran by them and they fell. Gulen ran to Giya, who was being attacked. She couldn't hold them off for long with that rod of hers. "Giya.." I thought to myself as a pain went through my body. I could feel blood dripping down my chest as I looked down. A katar had pierced my body. I turned my head slightly to notice a man, his long black hair, his torn clothes, was this Dyne? "Hoshi!" I heard my friends yell out. The katar was pulled from my body. "Just give up, your weak, pathetic, and a waste of my time." Dyne whispered to me. I fell to the ground as I watched the man walk past me. I tried talking but I could not, I began crawling, only to come to a stop. I could sence the presence of the Valkyrie approaching as I neared death. It seemed as if I was outside my own body. I was looking down at myself, lifeless, weak, not able to do anything. I watched the man continue towards my friends, his katar dripping with my blood on the sand below. "Why is it I have always been so weak?" I said as I shook my head. Nothing I did was ever good enough, I always relied on my friends to save me from danger. "Do you want to continue?" A voice spoke to me. I looked up, it seemed as if everything had stopped. I turned to notice a beautiful woman standing behind me. "Could this be the valkyrie that was to take me to the afterlife?" I thought to myself as I watched her slowly walk towards me. She approached me, but not the me that was standing. She approached my lifeless body my spirit had left from. "Why is it you give up?" She said. She drew a sword from its sheath, and tossed it to my side. I looked at it stunned for a brief moment. "The Stardust Blade. Those who are true to themselves can wield this weapon." She said as I continued to stare. I reached for the sword, gripping it lightly. She looked at me, her armor glistening in the moonlight. "You have the strength to survive, I've been watching over you since birth and I know this to be true. My, Super Novice." She said as I stared at her. Could this not be the valkyrie, but the legendary Guardian Angel that was suppose to watch over us? My body was bathed in light, my clothes changed, my wounds were healed, I could feel strength inside me that was always there but was to afraid to be released. I opened my eyes, I was still on the ground holding the sword the valkyrie had handed me in my dream. The man was still walking towards my comrades, they charged him. I stood to my feet, holding the sword in hand. My wound had been healed, my clothes were the ones I had changed to in that vision. I charged him with great speed, he turned as I thrusted my sword through his chest. "Stay away from my friends!" I yelled out. I held the sword there as I began chanting the words for the spell Fire Bolt. I had never studied magic before but this felt like it came natural to me. "What! But your only a novice!" He screamed. When I finished chanting his body was engulfed in a flame. I fell to the ground, breathing heavily as my friends ran to me. They looked at me as our night of terror came to a end. "Look at that. Is that Hoshi?" One of the adventurers said as we arrived back in Prontera. "Did he pass the promotion exam? If so what class is he now?" Another of the adventurers said as we walked by them. We followed the road, towards the castle where we were given another audience by the king. We each recieved our reward for completing the mission. "Now my young novice, which class would you like to be now that you have this certificate?" The king asked me. I turned around to my friends, they each holding their certificate in their hands with pride. Returning my attention to the king I approached him. A few guards came to his side with weapons drawn, only to lower them by the kings order. "I thank you for letting me take this mission sire. But promoting is not a option anymore, for I am going to stay true to myself." I said as I handed my certificate back to him. I looked at him and smiled, I bowed then turned to my friends. I walked to them and placed my arms around them. They each smiled at me as we looked at the king. "Staying true to myself and never giving up. That is the Novice Way."